Start off your visit on the 21st (Mon): steep yourself in history at Huaca Pucllana, don't miss a visit to Miraflores, then shop like a local with Shopping Center Larcomar (Centro Comercial Larcomar), and finally pause for some serene contemplation at Iglesia y Convento de San Francisco. Keep things going the next day: take an in-depth tour of Larco Museum, then pause for some serene contemplation at Cathedral of Lima, then ponder the design of Plaza de Armas (Plaza Mayor), and finally make a trip to Parque de la Reserva. To find more things to do, photos, and other tourist information, read our Lima travel planner. Seattle, USA to Lima is an approximately 18.5-hour flight. You'll lose 3 hours traveling from Seattle to Lima due to the time zone difference. Expect slightly colder weather when traveling from Seattle in August: highs in Lima hover around 65°F, while lows dip to 59°F. 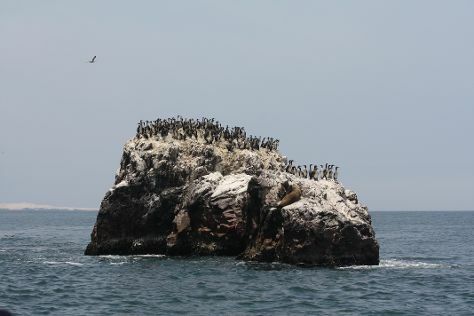 Finish your sightseeing early on the 23rd (Wed) so you can drive to Paracas. To find other places to visit, reviews, and more tourist information, read our Paracas trip itinerary planner. Getting from Lima to Paracas by car takes about 4 hours. Other options: take a bus. In August, daytime highs in Paracas are 69°F, while nighttime lows are 56°F. Finish up your sightseeing early on the 23rd (Wed) so you can catcht the bus to Ica. To find ratings, where to stay, photos, and more tourist information, read Ica itinerary builder. Traveling by bus from Paracas to Ica takes 1.5 hours. Alternatively, you can drive. In August, daytime highs in Ica are 69°F, while nighttime lows are 56°F. On the 24th (Thu), you'll have the morning to explore before heading off to Cusco. On the 25th (Fri), pause for some serene contemplation at The Company of Jesus Church, steep yourself in history at Plaza de Armas, then contemplate in the serene atmosphere at Catedral del Cuzco o Catedral Basilica de la Virgen de la Asuncion, and finally steep yourself in history at Sacsayhuaman. Keep things going the next day: admire the landmark architecture of Centro Historico De Cusco. To see photos, reviews, and other tourist information, use the Cusco trip generator. You can do a combination of bus and flight from Ica to Cusco in 7.5 hours. Other options are to do a combination of bus and flight; or drive. Traveling from Ica in August, Cusco is cooler at night with lows of 36°F. Wrap up your sightseeing by early afternoon on the 26th (Sat) to allow enough time to travel to Machu Picchu. Kick off your visit on the 27th (Sun): don't miss a visit to Intipuncu and then explore the ancient world of Machu Picchu. 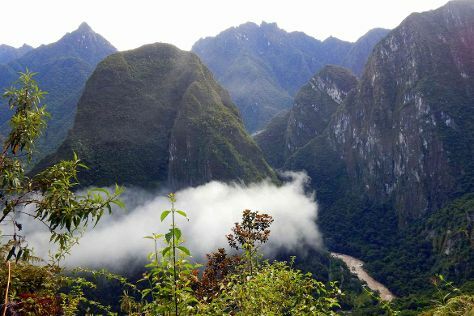 For reviews, maps, ratings, and more tourist information, read our Machu Picchu vacation planner. Getting from Cusco to Machu Picchu by train takes about 3.5 hours. Other options: drive. Wrap up your sightseeing on the 27th (Sun) early enough to take a bus to Aguas Calientes. Serving as the gateway to the ruins of Machu Picchu, Aguas Calientes is little more than a glorified cloud-forest village, housing just over a thousand permanent residents and featuring all of two streets. On the 28th (Mon), look for gifts at Artesanias, see the interesting displays at Museo de Sitio Manuel Chavez Ballon, then take in nature's colorful creations at Los Jardines de Mandor, and finally take in the awesome beauty at Phutuq K'usi. To see more things to do, ratings, and other tourist information, you can read our Aguas Calientes trip planner. Aguas Calientes is just a stone's throw from Machu Picchu. Cap off your sightseeing on the 28th (Mon) early enough to travel back home.